After establishing ourselves as one of the most leading manufacturers of state-of-the-art linear actuators, motor gears, cables and harnesses and other tools and devices that are required at numerous industrial applications, we had set for higher goals. 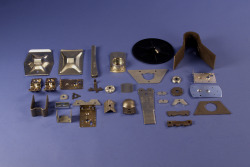 Today, Venture has also gained the expertise at stamping, assembly, welding, tube processing and other metalworking applications, using robotic welding and plasma cutting capabilities and world-class technologies required for precision and efficiency. We at venture have acquired in-depth subject knowledge and dexterity through laborious training and technical up-gradation and as a result we employ highly expert, experienced and hard-working engineers, workers and technicians who are adept in their respective field of knowledge. 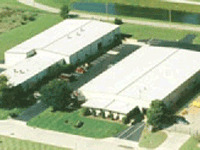 Why Our Clients Rely on Us for Metalworking Solutions? We take sufficient time and show patience in understanding our clients’ industrial requirements and business goals. Our technical dexterity and innovative metalworking approaches with world-class equipment and processes leave our clients with no doubt regarding the end product or quality of service. We maintain on-time completion of projects and always consult and communicate with the clients to make sure that we are on the right track in meeting their requirements. Our 50,000 square feet of facility is capable of accommodating every important variety of machineries, utilities, tools and technological systems necessary for perfect metalworking. Last but not the least; we are professionally and technically competent in taking up more than one type of metalworking projects. We serve a wide gamut of industries with our stamping, assembly, welding and tube processing services and our clients have always testified our trustworthiness, sincerity, reliability, efficiency and cost-effectiveness. If you would like to buy our products then request quote today ! , we will get back to you as early as possible.